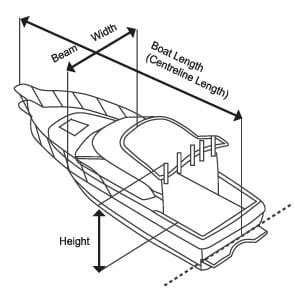 Measure a straight line across the widest point of your boat. 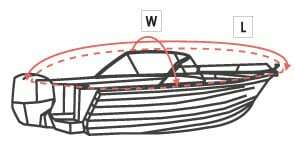 cover size for your boat. to the point on the hull where the hem of the cover will finish. (windscreens, cabins, etc.) to the point on the hull where the hem of the cover will finish.